It’s about that time to chat local music. I am in the mood for something heavy that I can bang my head to and let out some aggression, so I am going to spotlight a heavy band this week. Plus, I have to keep it in the family, for many metal bands are really starting to take off in this area. Hey, it’s a genre that will never go away, so you might as well jump on board! The band that I am referring to goes by the name of One Hundred Thousand. Now, I don’t know much about them yet, but I am attempting to change that by filling your minds with my knowledge of the band. I don’t know what the name means; it could be how much money they are looking to make, how many fans they want in attendance at their concert, or how many records they want to sell in their first week (always dream big, right?). Either way, I think I made up my own explanation of the name: one hundred thousand reasons why you should get into this band (or, for lack of space, a few reasons listed here). They are young, fresh, eager and hungry, and I have a feeling that they are well on their way. One Hundred Thousand are a metal band from Northern NJ that really have a buzz going. I recently made a post on my Jersey Rock Facebook page—or what I like to call it, the local band watering hole—asking if anyone knew of any NJ metal/hard rock that was worth giving a shot. Since I am a busy girl and can’t always make it out to everyone’s shows, it’s really helpful and gratifying to have a solid base of local music supporters backing me with suggestions for my ears. In fact, multiple people, who aren’t in the same social circle and who aren’t the band members’ parents, actually recommended this band. So, long story short, I am glad I gave them a listen! Their debut EP, A World Divided, is available now. If you want a band that’s simply talented, this is the act for you. Their heavy riffs compiled and mixed with a set of extremely powerful vocals create a unique blend of harmony. I really love the way the guitars are played on this EP, as there is something very different about it. Maybe it’s the combination of the deep-sounding bass that really gets me pumped up, for it all just flows so well. I started out with a track called “Delivered,” which may be my favorite on the release. It’s heavy, aggressive, intense and crushing, yet at the same time the lyrics are soothing and meaningful. When you have very talented musicianship and some awesome songwriting, well, that creates success. I’m sure in an interview they would have a very interesting story behind their words, for I am not sure if they’ve all been burned or screwed like most of us have in our lives, but they certainly have the upper hand at this point, that’s for certain. Their single “Goldenjaw” also has a video attached to it, which is pretty neat. It’s got a really cool vibe to it along with great production. This one really gets me interested in their influences as a band, as I hear so many different acts throughout it. Not to say they are ripping anyone off by any means at all—trust me, it’s complete originality—but it’s just crazy to me how many I hear. If I had to compare them to someone, I really don’t think I could. I start to sway the way of a group I could hear on The Rat, but at the same time, I could see them headlining a metal fest. I could hear this song on mainstream radio as well, without sounding like everything else out. I love the drumming on this track, as it’s crushing, energetic, loud and appealing. They keep the energy going throughout their entire EP, and there is no filler whatsoever on this record. I have yet to see One Hundred Thousand live, and I’m waiting for a show in our area, but I have heard that it is filled with passion, moshing, and hands in the air. Their sound appears as if it would hammer through a venue, leaving no stone unturned and no fan unsatisfied. Looking at the lineup of shows they play, they always choose to jam with a very eclectic bunch of bands, which is always smart to do when starting out, as you may gain a new fan that might not have originally come out to see you. 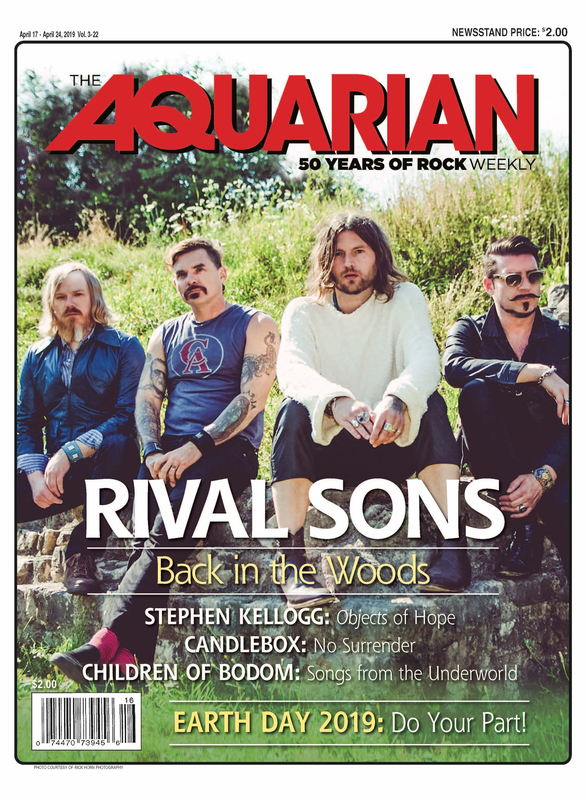 It seems the media have already latched onto this band, having done stuff with WSOU, getting reviews from The Musicians Rock Network, and so much more. You can learn more about them on their Facebook page at facebook.com/onehundredthousand. They are very active with their fans, so if you have a question or want to book a show with them, I am sure they will be more than happy to get right back to you! Also check out their official website, Twitter, YouTube and more. The movement is starting now, so you might as well jump on board, for this band is going places. I will be back next week with another local band of your liking. In the meantime, head on over to the Jersey Rock Facebook page and send me your bands! I am always scouting hot new talent, whether young or old. Get off your butts and go to some shows, as they aren’t going to fill themselves and I need some suggestions for things to do on the weekends!